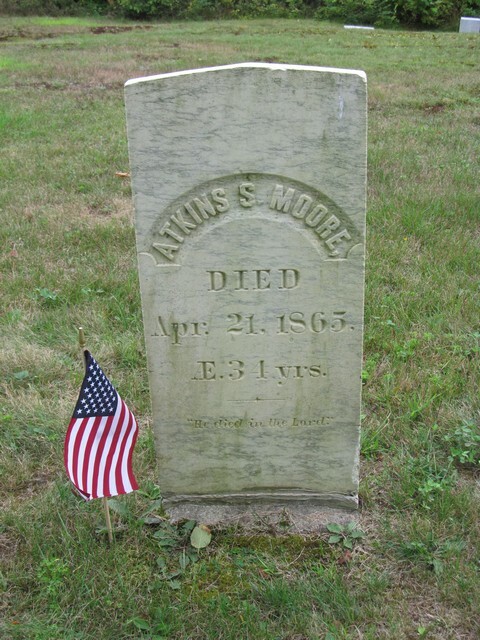 In Concord, April 21, Atkins S. Moore, aged 34. Brother A. A. Moore was a worthy member of the M. E. Church, and a zealous Christian-not withstanding adversity was his lot in time, with Christian fortitude fought the good fight, and finished his course. "Blessed are the dead that die in the Lord."